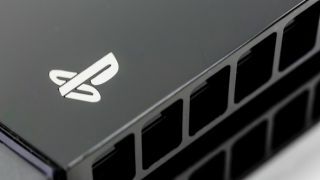 The PS4 is one step away from being able to stream games to Windows PCs or Macs remotely, a move set to bring Sony's popular console into line with the Xbox One. Announcing the update on the PlayStation Blog, Sony held back from providing further information - only that you can "look forward to it soon". Sony announced that it was working on PC-to-PS4 streaming functionality back in November. Technically the functionality already exists courtesy of a dubious third-party app called Remote Play PC that uses the PS4's built-in Remote Play software to trick PCs into thinking they're another Sony device, before accepting a stream from the nearby console. Sony's decision to officially support streaming to the PS4 gives Mac users a reason to pick the console over the Xbox One, which lacks such compatibility. PS4 Remote Play for PC/Mac won't be included in the PS4's 3.50 system software update that's set to push onto consoles tomorrow (if you signed up to the closed beta, that is). The new system software version adds a host of other features, including an option to be notified when friends sign into PSN, the long-awaited ability to appear offline, a new way place to manage storage in Playstation Plus, and the ability to create user-scheduled gaming events. Additionally, Sony has partnered with French video website Dailymotion, which is bringing a live streaming service to the PS4 as part of the update. PS4 versus Xbox One: which is better?